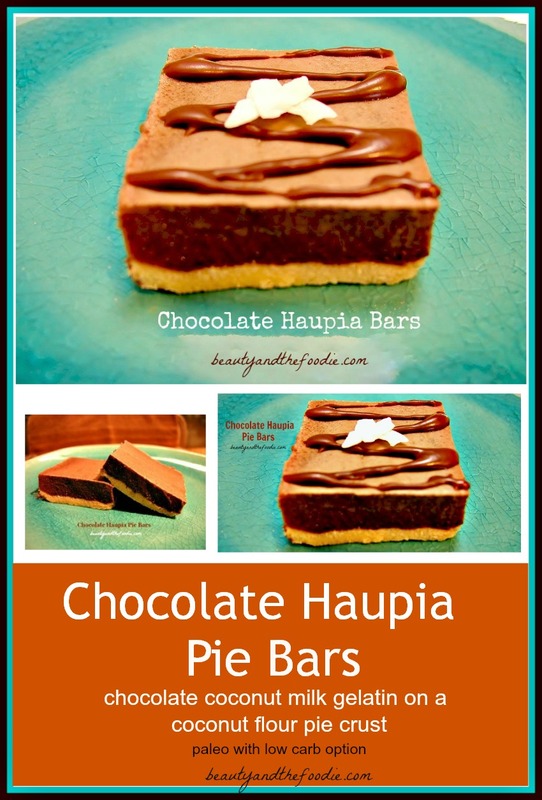 Haupia is a Hawaiian gelatin made from coconut milk. It is very delicious and refreshing. 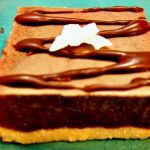 In the North shore of Oahu there is a Chocolate Haupia Pie that is crazy good. But, since I have dietary restrictions, I can no longer enjoy the Chocolate Haupia Pie from Ted’s Bakery. It was my favorite pie. I just had to make a Paleo friendly version and a low carb version. These yummy bars are the result. They really taste quite similar, only much healthier. Now I can go to Oahu and resist Ted’s naughty pie. This can be made with or without the crust. 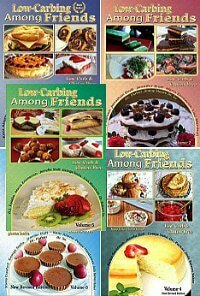 Can be made low carb as well. 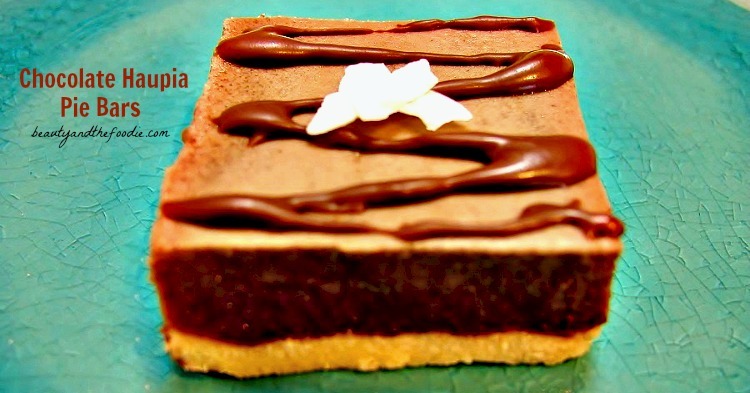 A light and refreshing, chocolate coconut milk, gelatin pie, on a coconut flour crust. 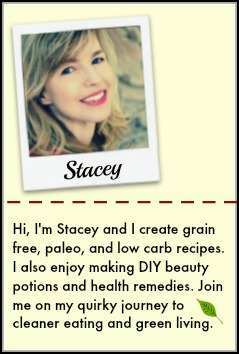 1 Tbsp Honey for paleo or 20 drops liquid stevia for low carb option. 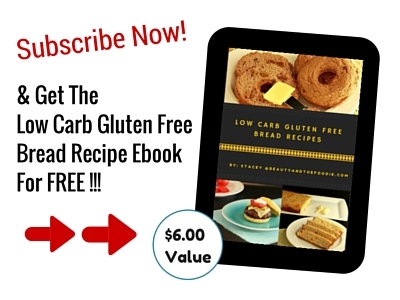 1 Cup Coconut Sugar for paleo or for low carb use 1 cup erythritol or equivalent low carb sweetener. 1 Cup Unsweetened Almond Milk Or Coconut Milk for nut free. 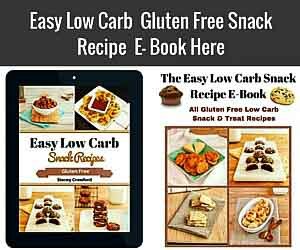 1/4 Cup Melted Dark Chocolate Chips for paleo ( gluten free dairy free kind), for low carb use 1 square unsweetened chocolate with low carb sweetener to taste. Mix all Crust ingredients together in large mixing bowl. Grease or oil a Square 8x8 pan. Form crust into a dough ball and press into greased pan until bottom of pan is covered with a layer of the dough. Bake crust for 9 to 10 minutes. Set crust aside, and let cool. *( can skip above steps if making without crust). In a saucepan over low to medium low heat, mix coconut Milk and coconut sugar or swerve sweetener. Add coconut butter and coconut extract to saucepan, and stir. Add 1 cup Almond Milk, or more coconut milk and stir. Whisk in Cocoa Powder and melted Chocolate. In a glass measuring cup, add 3 Gelatin Envelopes to 1/2 Cup Water, and stir until gelatin is completely dissolved. Add Gelatin mixture to the saucepan and stir. Remove saucepan from heat, and cool for a minute or two. Pour Mixture from saucepan over the Crust in the pan. Cover and refrigerate for 4 hours to overnight. When gelatin is set, Melt coconut butter and chocolate chip topping together. This looks amazing!, so very good! and it has gelatin in it – great!.